Adrian Gonzalez Add to your shopping cart the products you want to purchase, redeem the promo code HOT18 and your order over $49 will receive free shipping. Jose This deal was verified and it is working as described. 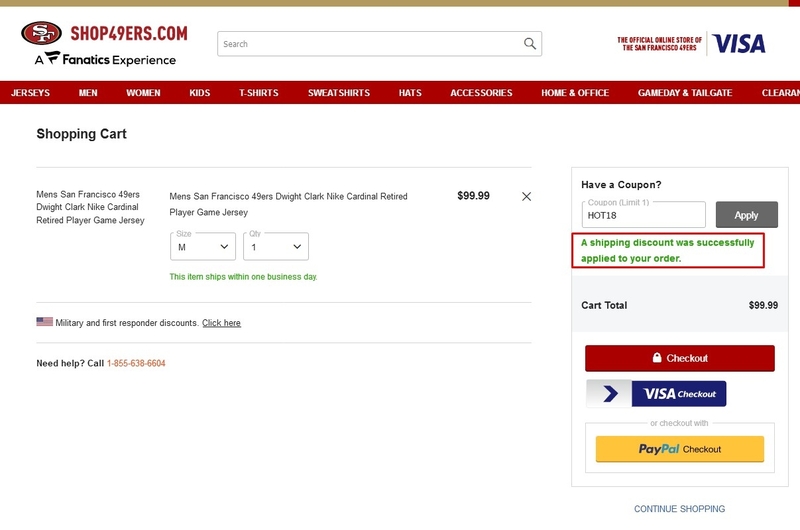 Select the items and enter the promo code <HOT18> at checkout to get free shipping on orders over $49 at Shop49ers.com.